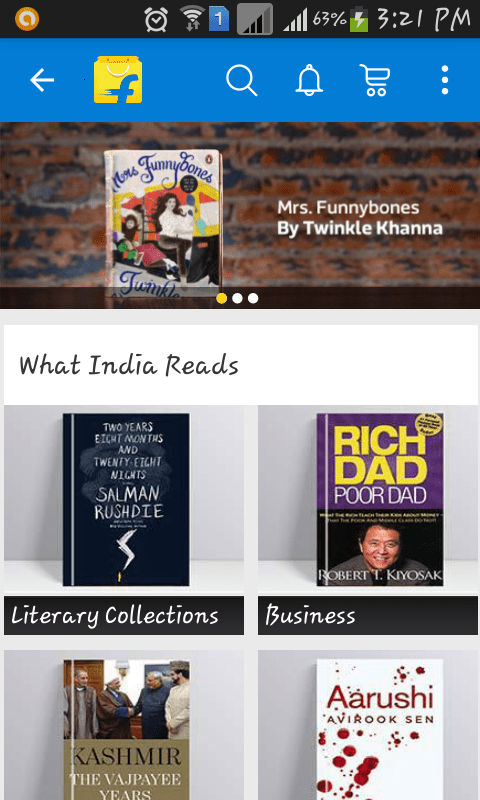 The book lovers have a new tool, well a page on their book section on their favorite shopping app from folks at Flipkart. The book was the first love of flipkart, well things have changed but then they have tried to please you the book reader with this page! 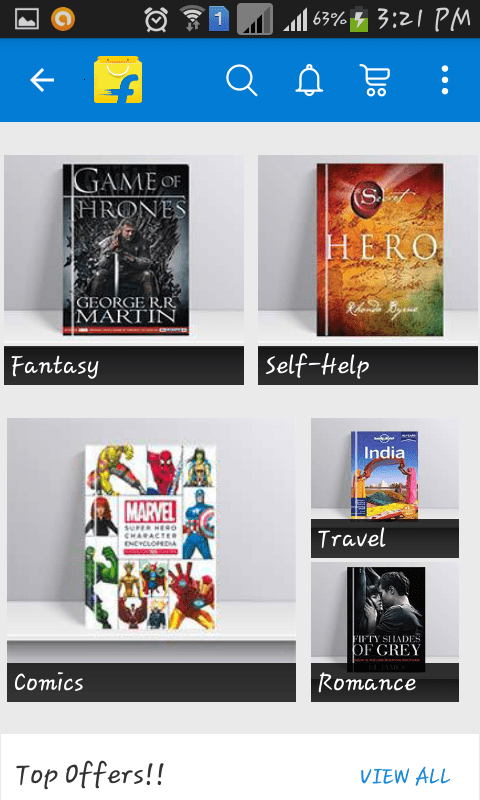 The idea of the app is to make readers aware of what books are right at the top and also to help them discover books they might have not known of earlier. There are sections to it, the genres and you could check out the books on the shelf, read about it and well get to buy them ofcourse. The chances are you can check out the best of the titles and the promising ones, as you see the title rise to prominence in a day or so post launch. There is an all book offers that will let you know what are the offers that you have at the present moment. 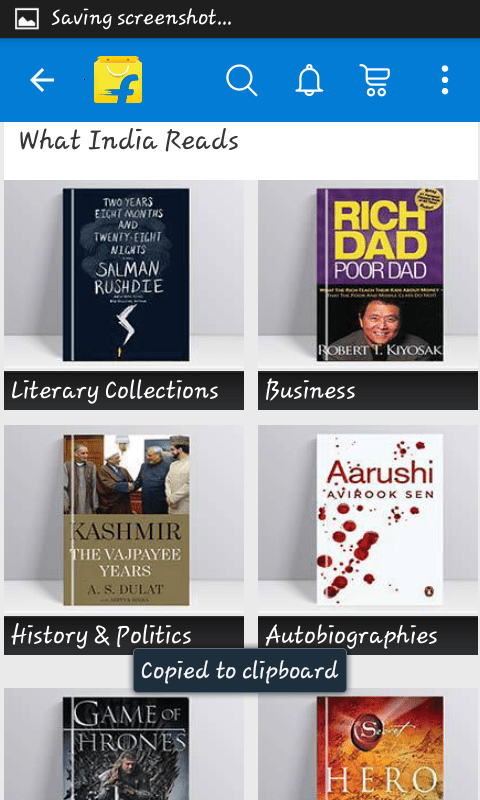 I was wondering on a title Aarushi under Autobiographies, may be it was a a mistake so i clicked on it to find the Autobiography titles there. Not Aarushi. 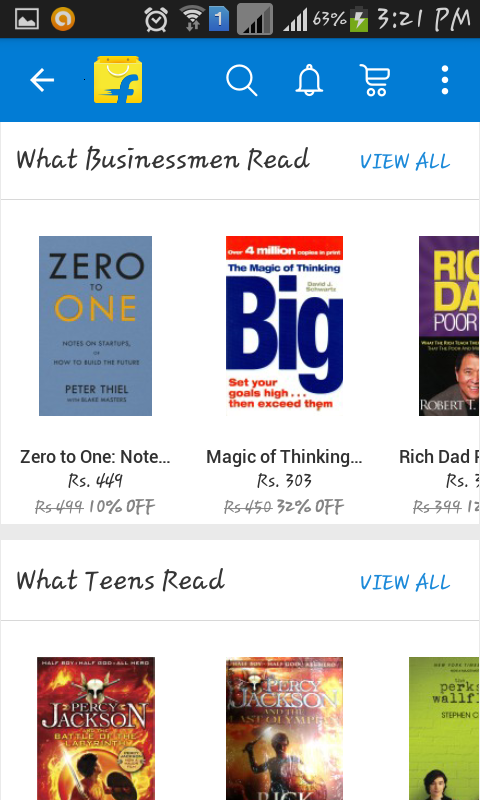 The pages instead of going to normal pages at Flipkart could be better be designed to the flow of the app interface for the What India reads page and continue with the shopping experience. I am thinking native probably because of my work and professional background. Another aspect could have been that they have a notification for you to check the What India reads page updation of new titles so that I get to go there quite often. A nice attempt from Flipkart, hope it helps the readers in you and me and as a start it definitely looks nice to have it.